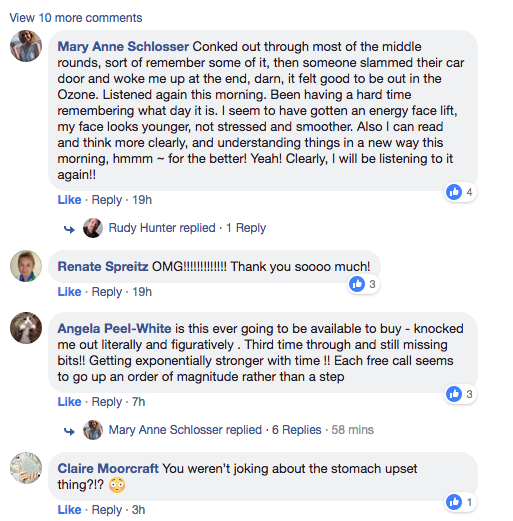 The Intricacies Of Your Invisible Energetic Scars. Then we'll begin to heal them together using Energywork. Always gently! It's yours to access for FREE anytime you need it. 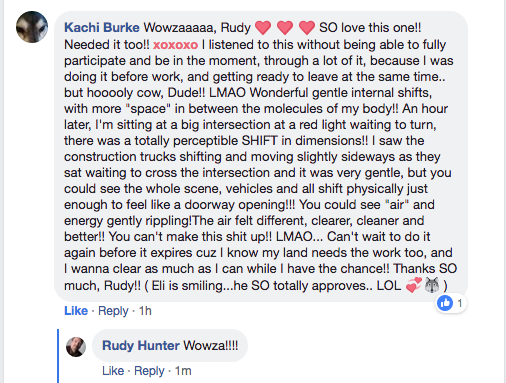 It contains the first round of EnergyWork as Rudy's gift to you. No personal recording of the audio is permitted; that will scramble the embedded energetics in it. Just return to this page to enjoy it as much as you wish...and please tell your chums on Social Media that it's available now. ​Press the gray play arrow on the left side of the audio player above. Turn up your speakers and enjoy. ​as FireFox which is available for free. Trouble listening on your iPod, iPhone or iPad? Blame Apple vs. Adobe. Purchase & download your personal copy of the 52:11 minute in-depth recording below and benefit from ALL the rounds of EnergyWork to help restore you. It is just $55.00 and the embedded energetics will stay active for life. You'll use this tool a lot--especially if you're an empath, a sensitive or work with people. A lot! PASS OUT MULTIPLE TIMES DURING THE REPLAY & GO TRIPPING??? on Social Media. You'll learn how it can energetically zap you...you'll be glad you listened. Please tag your chums who spend tons of time on Social Medial platforms. They'll thank you too! P.S. You'll also learn in the intro a TON about how your family can so efficiently zap you too!